Public health services in Lancashire are under threat less than two-and-a-half years after they were transferred from the NHS to County Hall. 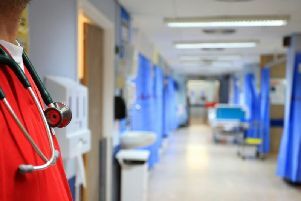 New Government cuts of £4m from the health budget, coupled with news that an expected £2m increase has been scrapped, have left some services facing an uncertain future. And county council chiefs are scratching their heads at how to achieve the economies mid-way through the current financial year. “When we fixed our budget in February the council understood the grant for public health would be likely to go up by £2m,” explained the county’s deputy leader and “Chancellor” David Borrow. “So the budget included £2m in addition. “So, in effect, the decision of the Government to cut the grant by £4m means the county council, partway through the financial year, has to take £6m out of the public health budget. We will make these cuts by the end of March 2016 and we are more than likely going to come back with further cuts once we have made those. Services like work to prevent heart problems, kidney disease and strokes and assistance to help people stop smoking, lose weight and take more exercise are amongst areas likely to be badly hit by the Whitehall economies. School nurses, mental health promotion, infection control, inoculation and programmes like contraception and work with sexually transmitted diseases are also under attack from the new economies. There has even been a suggestion that the task of giving medication to children, in the absence of a school nurse, could fall to pupil “buddies” - and idea branded as “ourageous” by one councillor. A report to the Central Lancashire Health and Wellbeing Board last week listed areas where the axe may have to fall to achieve the cutbacks being demanded. Coun John Swindells, deputy leader of Preston City Council, said there were some “real shocks” coming out in the suggested areas of savings. “George Osborne cut £200m from the health budget in the UK, of which Lancashire’s budget of £12m was cut by £4m. We will make these cuts by the end of March 2016 and we are more than likely going to come back with further cuts once we have made those. “It will mean cuts to the amount of time tracing patients presenting with STDs. There will be less time spent (following up) when mothers don’t turn up for appointments for immunisation of their children. “There will be longer waits for all sorts of services and one of the real worries is the child mental health service. There will be less time and staff available to encourage mothers to breastfeed their babies. “But probably one of the worst worries is the reduction in the number of school nurses. Part of the work is giving medication to children who require it during the day. “It is said this role will be picked up by teachers. But it’s quite clear from the trade unions that teachers who are untrained in giving medication will not pick that up for fear of litigation. Sakthi Karunanithi, director of public health for Lancashire, said: “The Government has announced plans to reduce public health budgets nationwide by £200m in 2015/16. We’ve yet to receive the details on exactly how much of a reduction this will lead to for Lancashire.